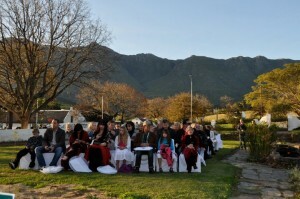 Swellendam. So much in store! If things had worked out differently, this might have been the capital of SA, the Pretoria of the Overberg, writes Richard Holmes in Business Day. IT’s an easy mistake really, passing by Swellendam. Two hundred or so kilometres from Cape Town, the third-oldest town in SA is mostly hidden by grain silos and a light industrial area. If your holiday sights are set on the Garden Route or the Mother City, chances are you’d rather put foot than swing into leafy Swellengrebel Street… But turn down it you should because, if things had worked out differently, this could have been the nation’s capital: the Pretoria of the Overberg, the seat of government for the wheat and dairy barons of these rolling green hills. Well, that’s if one Hermanus Steyn had his way. Back in 1746, the Dutch East India Company was fed up with farmers trekking across the Breede River, beyond the reach of its tax collectors. It decided enough was enough, and a drostdy (magistrate’s office) was built to keep the errant farmers in line. In typical colonial sycophancy, the town was named in honour of the Dutch governor at the time: Hendrik Swellengrebel and his wife, Helena ten Damme. 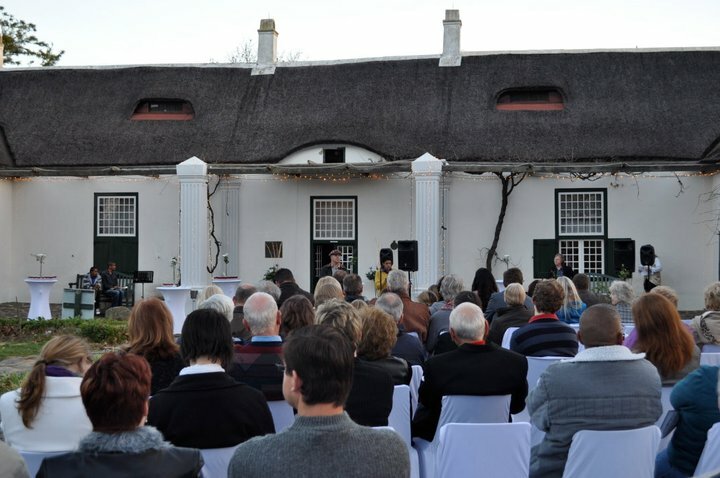 Unsurprisingly, the freedom- loving farmers weren’t too charmed with the company keeping tabs on them and in the late 1790s they — led by Hermanus — forced the landdrost to resign and declared the area an independent republic. It lasted all of three months, until the British nabbed the Cape from the Dutch and Steyn ended up in the jail of the drostdy that had started all the trouble in the first place. It’s a turbulent history well told in the delightful Drostdy Museum, where tourists — not truant farmers — now wander through the restored magistrate’s house, recreated Tradesmen’s Yard and delightful Mayville Cottage; its Cape Georgian architecture framed by a peaceful Victorian rose garden. Across oak-lined Swellengrebel Street, Sabine Fiorini has just returned from the forest when I knock gingerly on the back door of her eponymous Drostdy Restaurant. Brushing the dirt off her hands, she apologises for the frenzy of activity. “I just had to go picking before I fly to Belgium tonight,” she says, gesturing to the wooden board of wild porcini mushrooms that fill the room with an earthy aroma. “We use the porcinis in our homemade pastas, but you might also see them done ‘a la Sabine’ on the menu.” A chalkboard menu leans against the wall, adorned with mouthwatering dishes using local produce. I leave Sabine to her packing — she shuts up shop for a month each winter — and wander off in search of lunch. There’s a surprisingly vibrant restaurant scene in this small town, from authentic Milanese cuisine at Christiana and Gianni Minori’s La Sosta, to man-sized steaks at the local favourite, Mattsen’s. 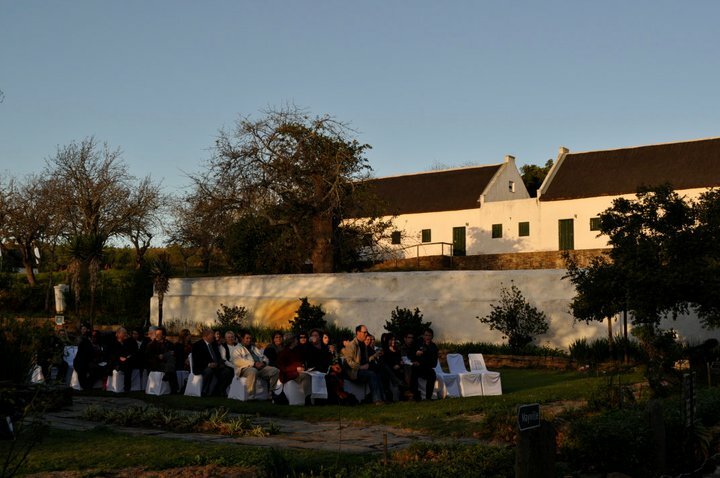 But, come lunchtime, you’ll want to be under the oaks at The Old Gaol Restaurant on Church Square, not least for its fine views of the dramatic Moederkerk, an architectural hodgepodge of Gothic, Renaissance and Baroque styles that combine to form one of SA ’s few indisputably beautiful Nederlandse Gereformeerde churches. 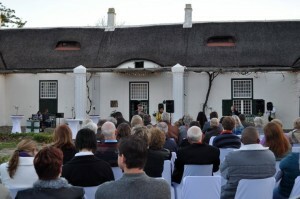 But it’s really the traditional roosterkoek that brings people to the Old Gaol. Baked over the coals, and served with smoked salmon or springbok, it’s easily the best lunch in town. In the unlikely event you’re still hungry, their deep-dish melktert baked in a traditional copper pan should take care of those last nooks and crannies. Well sated, it’s time for a drink. You won’t find many rolling hills of trellised vineyards but the berry liqueur at Wildebraam is just the thing to ward off those winter chills. A few kilometres outside town, the gorgeous Hermitage valley holds the surprising accolade of being the world’s largest producer of youngberries. More than 700- tons of berries are trucked out of the valley each year, with the leftovers blended into the range of berry jams and liqueurs on sale at Wildebraam. A charming little tasting room overlooks the orchards that run up to the foot of the Langeberg and, in season (November to January), you are welcome to bring a bucket and pick your own. Driving back into town, it’s easy to blame the potent berry liqueur when you see a sign to a Faerie Sanctuary. 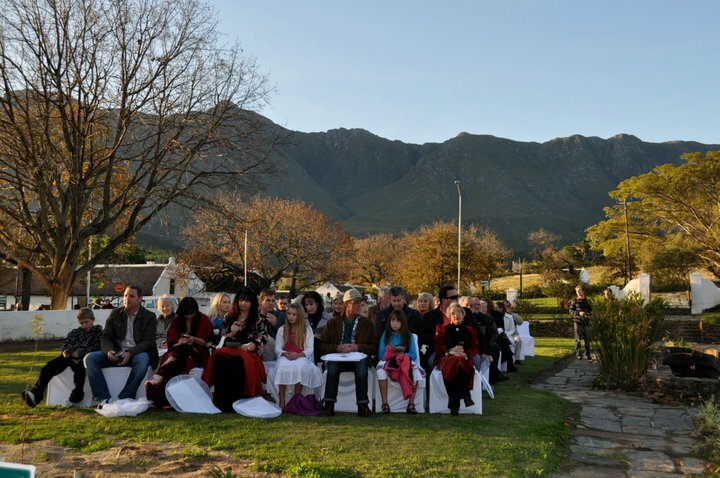 But no, among republican farmers and bountiful berries, Swellendam also lays claim to what must surely be the only fairy sanctuary in SA . The Continent of Sulina — Ian and Minke Sulin’s offbeat garden in Buitenkant Street — has been enthralling non-fairies large and small for nearly 20 years, and it’s a hard-hearted cynic who won’t crack a playful smile here. Overgrown pathways, secret glades and a “magic pebble pool” hide the hundreds of fairy folk that call this continent home. All paths, perhaps unsurprisingly, lead to the Faerie Gallery where you can “adopt” a winged waif to take with you. If the faeries enjoy porcini and dappled forests, then it’s perhaps no surprise that they need a sanctuary in this neck of the woods. Vast tracts of indigenous forest used to frame the valleys running off the Langeberg, but today the nearby Grootvadersbosch Nature Reserve is home to the last remaining acres of yellowwood, ironwood and stinkwood. And it’s an easy road to the Grootvadersbosch: through Suurbraak — a picturesque Moravian mission village dating back to 1812 — and past the scenic Tradouw Pass, one of the most scenic mountain crossings built by Thomas Bain. You’ll also pass the fields of Honeywood Farm, where the Moodie family first put down roots nearly two centuries ago. Today John Moodie is one of the most respected beekeepers in the country, and honey from his apiaries is available fresh and unpasteurised from the farm. But press on past Honeywood to where a bucolic campsite and forest cottages harbour weekend escape artists. Wander down into the shady valley, swim in the tannin- stained Duiwenhoks River or roam the fynbos-covered hills. As you turn away from the Langeberg, in the distance you might just see the N2; travellers roaring past, unaware of forests and ceps, berries and fairies. Perhaps old Hermanus Steyn was right to try to keep all of this to himself.